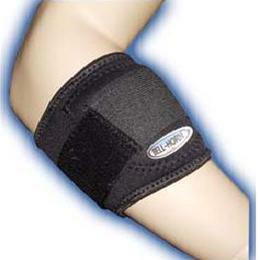 The strap helps provide temporary relief of pain due to tendonitis ortennis elbow. The compression pad adds even more support to ensure youstay at the top of your game. Support for tennis elbow plus any otheractivity that involves strain on the forearm muscles, includingbowling, batting practice, golf, even gardening.